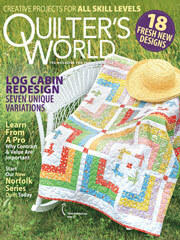 Brightly colored and Half Log-Cabin blocks create the ship design in this free quilting pattern for kids. Finished Quilt Size: 62 1/2" x 72 1/2". Block Size: 10 1/2" x 10 1/2".